Just because you have a small bedroom doesn’t mean you need to sacrifice style or storage. 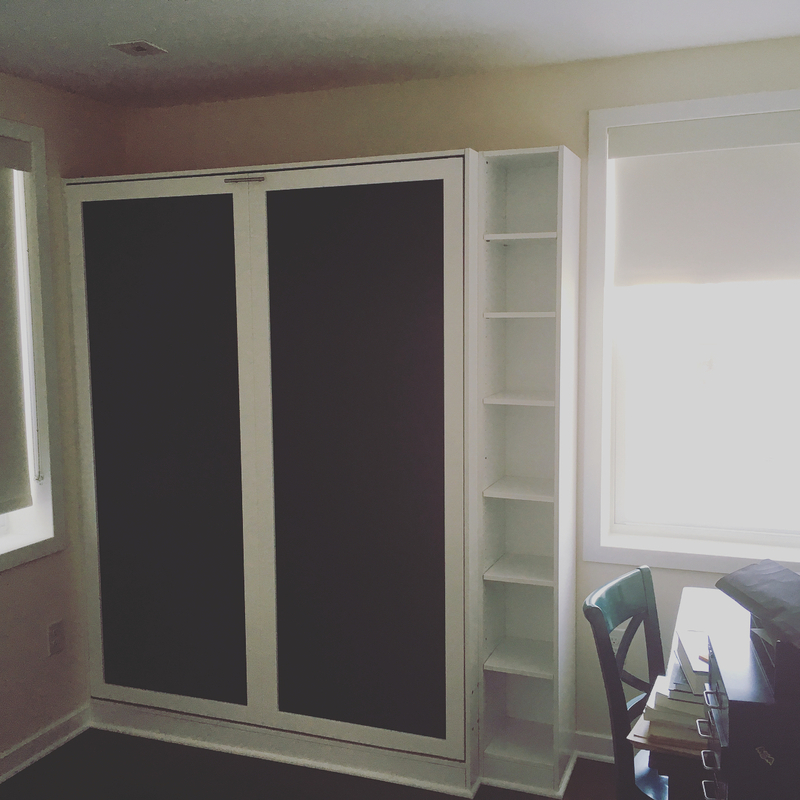 A-K Custom Interiors has some great ways to make the most of your space by using built-ins for small bedrooms. Check out some of our recent projects and get inspired to make your small bedroom more spacious! When you think about a traditional bedroom door, you may not think of it as something that takes up space, it’s only 1.5 inches wide, right? But a bedroom door typically has an inswing and that means you’re missing out on 3 feet of otherwise usable space. 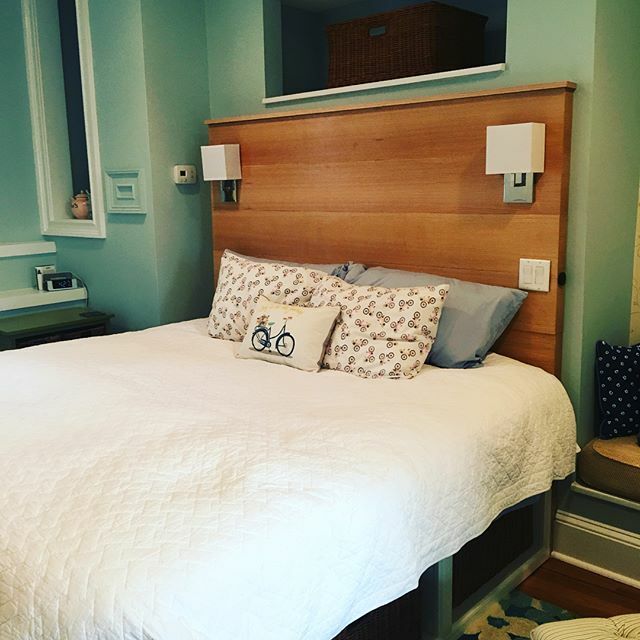 In a small bedroom, 3 feet can make a big difference! 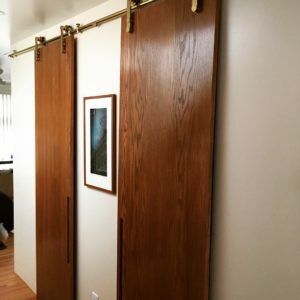 Instead of a traditional bedroom door, consider using either a pocket door or a set of barn doors, like the ones featured in the image above. For this client, we were able to install these gorgeous doors with modern brass hardware and sleek finger pulls, making the doors a work of art themselves. Designed by William Murphy, Murphy beds have been helping folks with small bedrooms for the last 100 years. Legend has it that Mr. Murphy designed this bed so he could entertain ladies in his one-bedroom apartment without breaking from the etiquette of the time which prohibited women from entering a man’s bedroom. 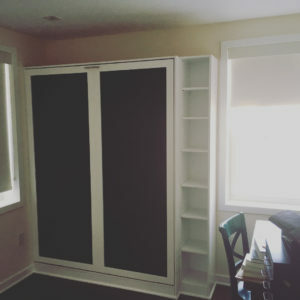 Necessity was certainly the mother of invention for these built-ins for small bedrooms! One of the great things about Murphy beds, as you can see in the photo above, is that you can also use the wall space when the bed isn’t in use. Here, we’ve installed blackboard material which allows our client to use this space as an office. In small spaces, it’s sometimes necessary to omit conventional furniture. For this bedroom, we helped our client make the most out of every square inch by building a custom headboard. 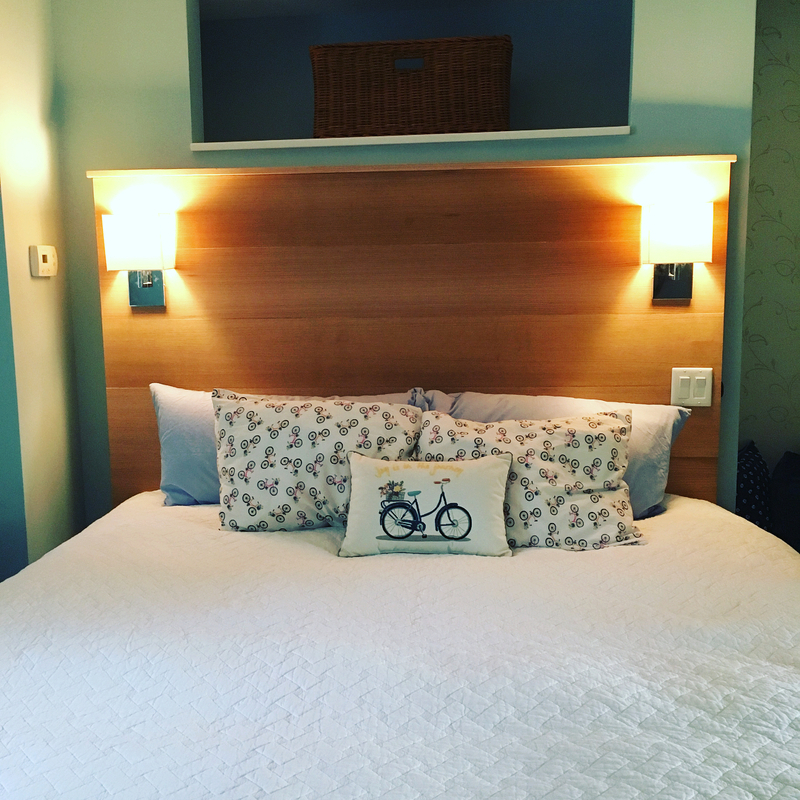 The headboard is thin and attached to the wall, saving inches that would otherwise be used on a bed frame. Then, we installed lamps in the headboard so that they could avoid using bulky nightstands. Finally, as you can see under the bed, small cubbies have been added to provide additional storage. Check out our portfolio for more examples of our work. If you have a small bedroom, it doesn’t mean you have to feel cramped. It just means you may need to be a little more creative. That’s where A-K Custom Interiors comes in. 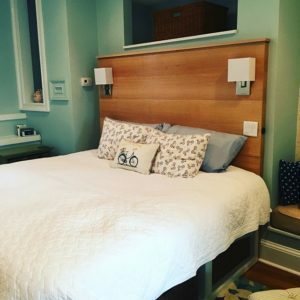 We’ve been building built-ins for small bedrooms all around Philadelphia for the last decade. Get in touch with us to see how we can help you.